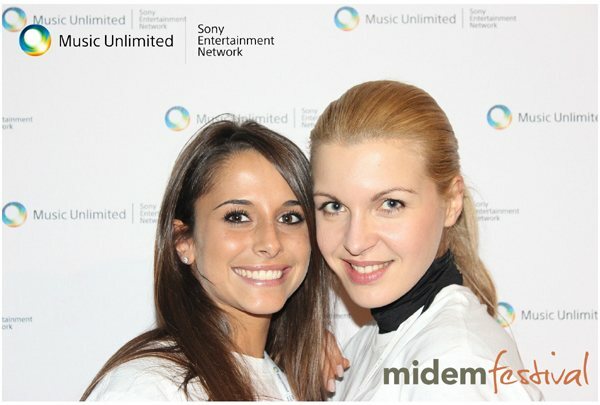 We have just arrived back from 5 days in Cannes in southern France covering the Midem music festival for The Sony Music Unlimited Entertainment Network. The project consisted of using a branded back drop and taking pictures of guests with instant 6×4 prints being given free to anyone who ventured onto the stand. With 1500 photographs printed the photography was a major success and certainly brought a buzz around the Sony stand. The picture on the top right shows one of the many photographs PictureBlast delivered to the happy customers on the night and the picture below it is of the Sony Stand with our back drop on the left hand side.